The Quietus | News | May The Fourth Be With You! This Sunday will see tQ's very own John Doran and Mat Colegate off of Teeth Of The Sea entertain the crowds at Islington's premier Cantina, The Lexington. 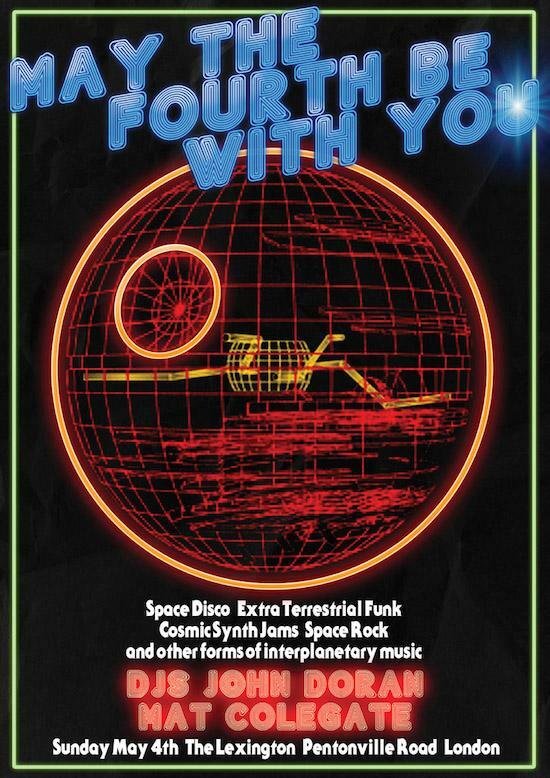 They'll be celebrating the Bank Holiday with a mix of "Extra terrestial Funk, Cosmic Synth Jams, Space Rock and other forms of interplanetary music". Entry is £3, or free for aliens and space cadets. Don't have too much fun, or Monday will prove to be the 'Revenge Of The 5th'. Sorry. Full information can be found at the Facebook event here and get tickets from The Lexington's website here.